Longer, lighter days are nature’s idea of a wake-up call. After spending more than a few winter hours snuggling under a comforter, the additional daylight hours signal that it’s time to shape up. Start by giving your cupboards and refrigerator a spring makeover. Take stock of the foods that winter compels you to eat, which is too often carbs with empty calories. Instead, stock up on lighter vitamin-rich spring foods, such as asparagus and strawberries. Carbs are not necessarily the enemy—they should just be eaten judiciously. “When you eat carbs, limit your quantities, and find carbs that are healthier for you, such as sweet potatoes instead of potatoes, a nice light grain like quinoa, or brown rice instead of white rice,” said Eugene Dougherty, a certified physician’s assistant withWoodstock’s Maverick Family Health, soon to be part of Health Quest Medical Practice. To counter the effects of winter hibernation, you may want to incorporate more exercise into your routine. Longer days luckily mean more opportunity to walk outside. Strength training is also important, and weight-bearing exercises may be the most effective way to firm and tone your body. “The ideal body we are all looking for really comes from weight training,” said Anthony Covello, owner of The Ridge Gym in Stone Ridge and 28 West Gym in Woodstock. “People who don’t include weight-bearing exercises are really spinning their wheels. They may lose weight and still have the exact same proportion as before. Covello suggests starting weight-bearing exercises with some training sessions. “Start with a certified personal trainer to learn how to do things the right way, to prevent injuries, and to maximize effectiveness. Those who do five training sessions when they first start are twice as likely to keep it up,” he said. Ideally, it’s important to keep up strength training throughout the year to prevent injuries and help fight osteoporosis. If you have not exercised in a while, be sure to start slowly to prevent injuries. 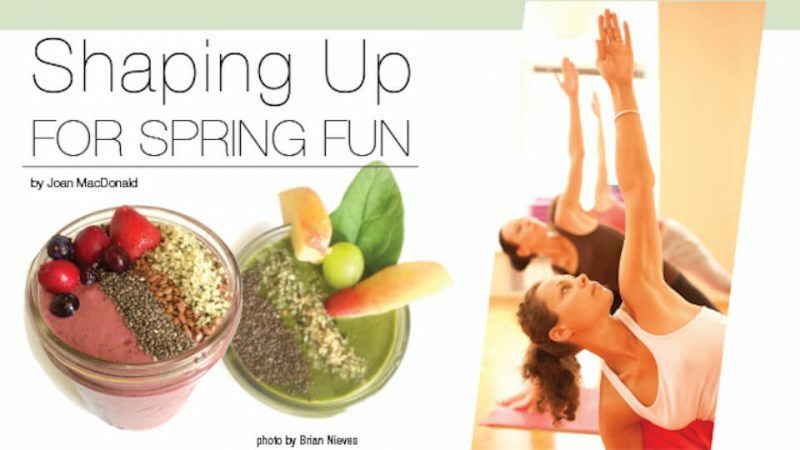 Busier spring schedules can mean more stress. Not coping with that stress can sabotage your best efforts. When a person experiences stress, their body releases the hormone cortisol. This important hormone helps people cope with fight or flight situations, but a chronic output can interfere with a person’s metabolism, says Tecchio. And feeling stressed can make it more difficult to enact any positive behavior modification efforts. 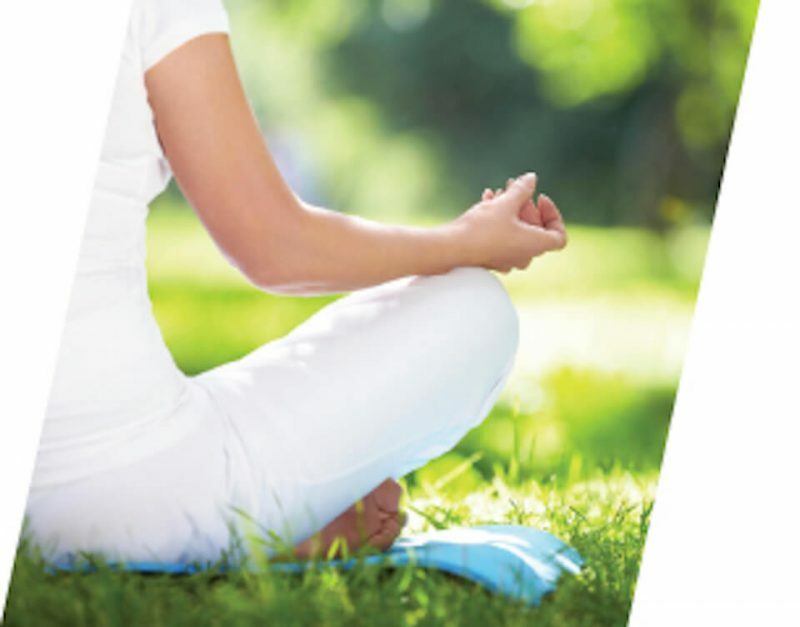 Tecchio recommends stress management techniques, such as meditation, yoga, breathing techniques, and exercise to help regulate the stress response. Staying inside during the colder months lowers vitamin D levels, and you may want to discuss this possibility with your physician. “For some people, especially in our northern climate, vitamin D levels can drop during the winter and low levels contribute to fatigue and muscle weakness,” said Dougherty. “You may want to get your vitamin D level checked by your health practitioner and take supplements if needed.” Spending more time outside can increase your vitamin D intake. You can also add foods rich in vitamin D to your diet, such as mushrooms, tofu, wild salmon, tuna, cheese, and fortified milk. Starting any behavior modification program is easier than sticking with it. Here are a few tips from the experts. It’s important to surround yourself with like-minded supportive people and remember that balance is the key for long-term success. Make exercise fun by choosing exercise you like and mixing it up. Add zumba or cardio boxing to your exercise routine. Boredom is the enemy of any exercise program. Stay focused on the positive results. Focus on the fact that you’ll have more energy and a sense of accomplishment. Don’t make yourself feel guilty about what you did in the winter. Look forward to feeling better in the spring.